This page contains links to Salt-related projects created by community members. If you come across a useful project please add it to the list! alkali is a collections of SaltStack states and pillar data that provide just the basics for provisioning Linux instances that may be built upon. 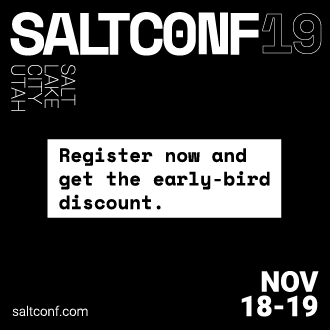 alkali is a starter kit of sorts, to help new users to SaltStack get up-and-running quickly with the most commonly used, core packages. buoyant leverages docker to provide an alternative to VM-centric SaltStack development environments. buoyant containers may be spun up nearly instantly, once an initial docker image has been built. A Salt Demo using Vagrant.